The Dragon Tutor is the first in what looks to be a really interesting comic series. 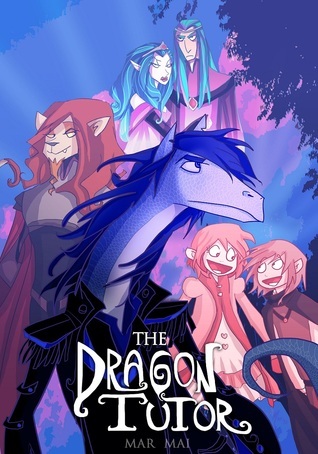 It has Dragons, an adorable little prince, a ditzy little princess and... tragedy. Yes, tragedy strikes really early in the book. Zephyr, the dragon tutor of the book, is the tutor to Prince Quiver, this really adorable little Prince. The Prince is the son of two rather, shall we say ditzy parents, who try to betroth him to Princess Calista (who's surprisingly like him in temperament). Unfortunately, tragedy strikes (I'm not tell you what), and Prince Quiver is missing, presumed dead. A few years later, Zephyr is called to be a Dragon Tutor again, this time to Princess Calista. What did I like about this comic? Everything! It had adorable characters, a range of settings and a hint of something darker. It's not all puppies and flowers, and there's a small hint of a conspiracy, of things about to get worse. That's really what's made me into a fan - it feels rounded and not too saccharine sweet. I'm so glad that I got the chance to read this book! If you're looking for a fantasy comic that can be enjoyed by people of all-ages, you have to pick this up. This is such a cute middle-school detective book! It's not like the five-findouters, which was safe although they got into some pretty precarious situations, it's not one of those gritty type of stories. It's a bit more complicated than that. Hat (full name Halcyone Acasia Tintersmoot), receives a golden egg from a grandfather for her 12th birthday, three years after he died. 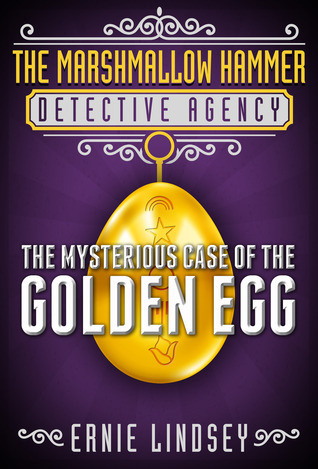 The mystery would be to solve the mystery of the golden egg. So in that sense, there's no sense of danger to the book - it's more like solving a series of riddles. Helping her is her new friend Frank, who has a photographic memory. Yet, there's something darker. Hat's new friend and assistant Frank, comes from a broken home. His dad is in jail, and his mom is probably an alcoholic and abusive. Hat doesn't recognise this, but her dad other adults do and I'm pretty sure older readers will. If you're going to talk danger, then there is the very real danger of Frank getting seriously injured by his mother (she slaps in him the book when angry, so there's the possibility that things will get worse before they get better). I think that bringing in the possibility of child abuse into an otherwise safe world makes this book much more realistic. This world that Hat lives in isn't some safe fictional world where bad things are clearly defined - bad people are near her. She doesn't explicitly recognise this (although she definitely doesn't like his mom), but it's something that hit me. To bring some balance to the book, Hat has an extremely loving family. She's expected to be responsible, her parents love her, they trust her, I have a feeling that she's going to grow up happily, in uneventfully. But I'd rather take the happy ending than one full of pain. I'm looking forward to reading more of this series - I'd like to see what happens as Hat and Frank grow up. I spent Christmas at home, so I was so glad that three of the books I ordered online came. I guess it's a Christmas present to myself. May you have had many books for Christmas! This came when I borrowed a book from the university library. I FINISHED ALL MY READING CHALLENGES :D I was a bit unsure about the Tea and Books reading challenge, but in the end, I did it! You can find more details at this page. Plus, I won NaNoWriMo for the second year in a row! Oh yeah, I wanted to talk about what's going on next year too. Reading Challenges: Nope, not entering any at all. Why? Because I have something planned - so keep you eye out! Memes: I've only taken part in Teaser Tuesdays this year, and I have a sneaking suspicion that I might take part in it less and less often in 2014. Blog Tours: Bring on the tours! So to sum, next year, I really want to go back to basics and focus on books and reading. I'm still working out the weekday schedule (I will probably be unable to post on Friday due to golf practice, but whether I can post on Monday is a bit uncertain), but my Saturday posts will alternate between Long Reads (a summary of the long form fiction/non-fiction that I've been reading), a review or a post about reading/writing. Sundays will remain post-free (please, stop your tears. Oh, they were tears of joy? Well, stop anyway). If I post on Sunday, it's probably because it's part of a blog tour. And in addition, I plan to be a lot more active on Google+. I'll try to post at least once every day and reply to all comments within a day. And participate more in the Google+ Book Club. And post content other than reviews. I highly encourage you to follow this page (and my personal page too, if you're interested). Those are my plans in a nutshell? How about you? How did your year go, reading/blogging wise? Happy Hogwatch! Well, it isn't December 32, but it's December 23rd, so it's close enough for me. Of course, Hogwatch being a Discworld novel means that it's an awesome, if unorthodox, Christmas read. Hogfather, if you can't tell from the fact I said "Christmas read", is Terry Pratchett's Discworld Version of Christmas. Now that I've stated the obvious, let's get on to the story. In Hogfather, the Hogfather has disappeared and Death has taken over his role. This disturbs his granddaughter Susan so much that she starts investigating what happened. Obviously I love this novel. As I do all Discworld books. I have read Mort but this is the first time I've read a book that starred Susan. The fact that she was the Duchess of Sto Helit gave me pause and got me to feverishly google why she was the duchess and Death's granddaughter. But Susan is an awesome character. She's practical and good with kids, which means that she's not a normal hero. She's as undramatic as possible. Plus, the Unseen University faculty play a fairly major role. Ridcully and his new bathroom, Ponder Stibbons, and even a new machine called Hex. Oh, what am I saying. This is a Discworld novel. My words can't praise it enough. You should go read it, and then watch the two-part series (which I'm watching right now). This book is a really difficult book to evaluate. I mean, it is a pretty unique true crime novel, but unique can be both a positive and negative term. And to be honest, my first impression was not very good. When I read a true crime novel, I'd want to read more about the crime, not about the author and how he feels shut out of the crime (he does get to meet the murderer later, though he talks with him mostly through the phone). Of course, it doesn't help that at the start of the book, he plays a dirty trick on the victim (in order to prove a point about race relations), which left me a bit ambivalent about the author. But as the novel went on and it slowly shifted focus to finding out reasons for why the crime happen, the book got better. Since this is a murder of a white supremacist (who, strangely, got along fairly well with black people) by a black person, there is the very obvious "race theory." Then when you throw in the possibility of a sexual advance by the white supremacist, and something about a wage quarrel and suddenly, everything gets a lot more complicated. There are many many conflicting scenarios, and the more information you know, the murkier the case gets. It actually gets to the point where there's not clear solution to this mystery - sure, we know who the killer is, but we don't know why. Oh, and while the subtitle mentions "befriended his black killer", I'm not too sure if that is true. Sure, he talks with Vincent McGee (the black killer in question) and helps him and such, but their relationship seems to be more of a transactional nature - Vincent gets money, John gets information. I'm not sure if you can call this a friendship. All in all, this is an interesting book. I was a bit annoyed at the beginning, but once the book shifted its focus to the murder, I enjoyed reading it a lot more. This is a complicated murder case, and if you want something that shows you how race-relations is not as simple as it seems, this is the book to read. Now I know why the internet rejoices whenever a post from Hyperbole and a Half comes out (as it says on the first line of the blurb). To be honest (and please, no arrows to my knee), I didn't find this book funny at first. I like dogs and stuff, but I didn't find them very funny. It was after her very moving post on her experiences with depression that I started to find the book funny. Soon, I started chuckling. By the time that I finished reading, I can honestly say that I love this book. It's touching, it's funny and it's just plain awesome. Just a quick note: you may want to keep this away from younger kids (primary/elementary school, and depending on maturity, lower-secondary/middle school) if you don't want them exposed to the f-bomb. It only appears a few times, but the first one appears almost immediately. Still, love the book. 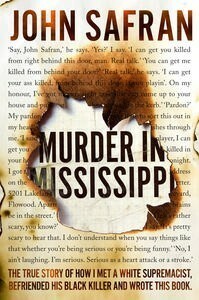 Today's teaser comes from Murder in Mississippi by John Safran. It sounded interesting, but I'm having a really hard time reading it. Not because of the content, but because it refuses to load on my Bluefire app for some reason. So for now, I'm trying to read it on my computer. Here's the magician's trick: We're all from Africa. A thorough DNA test of anyone will reveal African roots. As this is the case - and as DNA sampling without permission is a murky legal/ethical area - after I scrapped saliva from Richard's balloon, I did a switcheroo with a sample from a consenting person. So, I am PT Barnum. Can we move on? To be honest, this is really not in favour of the author. And since this is a true crime novel of how the author met a white supremacist, and then befriended his black killer, I need to be able to trust the author. Let's see how it goes. What is your Teaser Tuesday? Teaser Tuesday is hosted by MizB of ShouldBeReading. 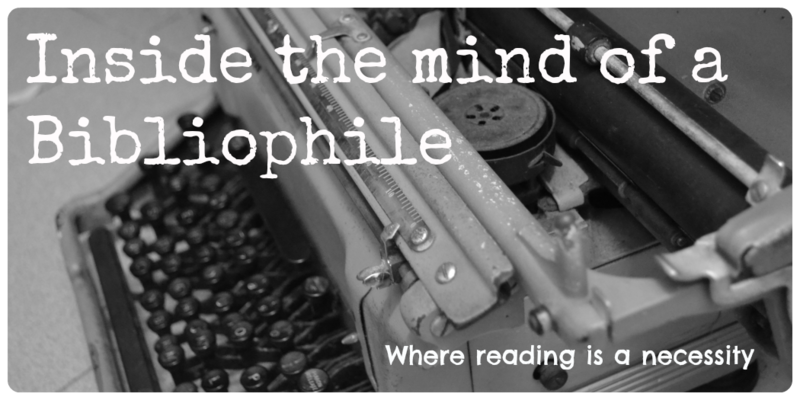 To participate, just share a two sentence teaser (oops, I shared too much!) of what you're reading alongside the title and author. When I was younger, I read an abridged version of David Copperfield. I didn't know it was an abridged version, so while I was browsing through a reading list for the Tea and Books reading challenge, I was quite surprised to find it on the list. So of course, I had to read it. And for a really long, and rather old book, it's very readable. 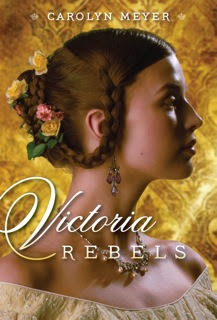 While I quite like Victorian fiction, I tend to be able to read it only in print format. Somehow, they don't read well as an ebook. But with David Copperfield, I was able to read the Gutenberg version in a few days. If you've never heard of it, David Copperfield is basically a fictional biography of David Copperfield, who may or may not be partly modeled after Charles Dickens. David is born to a childish mother, who remarries a harsh man. He's sent to a horrible school, and when his mother dies, sent to work in a factory. He then runs away to his eccentric aunt, who protects him and educates him. After that, well, the novel really just follows the course of his life, just past his (second) marriage. 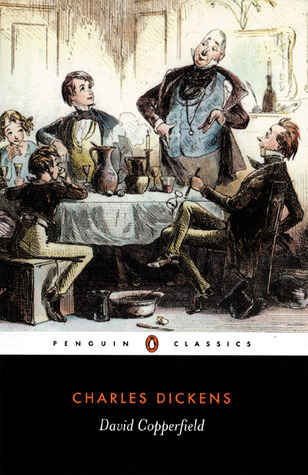 Despite the fact that I remembered it as a child's book, it's surprisingly mature.. David Copperfield is basically trial after trial after trial. There is seduction, there are wrong marriage decisions, there is blackmail and fraud, there is spousal abuse, there is an unhealthy obsession with another person (by a minor character), the amount of dark material is actually quite startling. Yet David remains optimistic and along with his friend Traddles, they remain beacons of light in a really dark world. And yes, the world they live in is really dark. There's a lot of stuff that could be analysed about the book, but really, you can just google that and page after page of results will come out. This book has been assigned reading for a long time after all. The only thing I want to point out is that quite a few characters are rather flat (actually, I could probably make the case that each character has one sort of trait that is there for their interaction with David. So David is like the complete version of them). Something interesting to take note of would be the different names that David Copperfield is called - his real name is called relatively little times. I loved this book! It was really easy to read and I enjoyed reading it. Note: I read this book for the Tea and Books reading challenge. Sometimes, perhaps during Christmas, you get so busy you can't read more than a little bit at one go. I find short stories to be very appropriate during times like these. I can finish one story at one time, and not feel the urge to continue reading (that strongly). 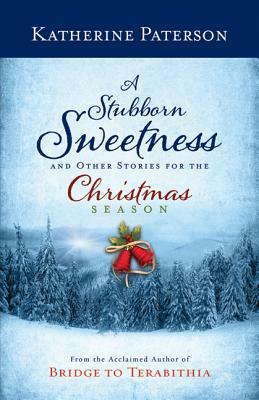 A Stubborn Sweetness is a collection of short stories about Christmas. It covers a diverse range of characters and people, which is why I really loved it. For example, one story was set in Communist China, in a reformative camp. Another was set in World War II Japan, where Christianty was seen as representative of the Americans and hence, an enemy. The inclusion of these two stories surprised me, and the diversity they added was very welcome. The stories themselves are varied too. Some are light-hearted, some are poignant and some will bring you extremely close to tears. All of them end with hope, although a few of them aren't what you typically imagine as "Christmas Happy Endings" - where all the sick get well, family rifts are healed and well, Scrooge becomes generous. Since Katherine Paterson is the author of Bridge to Terabithia, a story that brings me to tears every time I read it, I'm pretty sure that this book will tug at your heartstrings too. So perhaps you will need more time reading this book - after all, when you close the story, you may need some time to reset yourself back to the pace of your busy life. 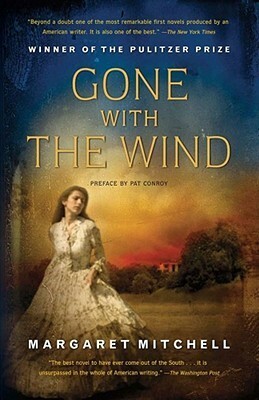 Gone With the Wind is a fine piece of white-supremacy propaganda. It's also a really good book, but that doesn't mean it's not a piece of propaganda. I had to stop and do some Googling every now and then just to stop myself from buying into the message of the book. The message is, as you may know, that the slave-owning South is not as cruel as they seem, and that when the South was defeated, it was treated badly (basically, they should be pitied and/or sympathised with). And yes, it's the story of Scarlett O'Hara, but to be honest, my main impression was that the story was doing its best to change the impression of the slave-owning south. In fact, it succeeds - I started getting a positive impression of the slave-owners and a negative impression of the Yankees (still do I think). I had to re-read about how all those slaves suffered before I regained a semblance of normalcy. As for the actual story, why, it follows Scarlett O'Hara, an unconventional Southern lady. She's bewitching to men, but she has a heart like ice and is amazingly practical. While she loves the South, and in particular, Tara (her home), she's not afraid of cozying up to the Yankees, who are in charge. The only one she loves is Ashley, who is married to Melanie, who treats her like a sister. Melanie. My favourite character (along with Scarlett). Melanie is under-estimated by Scarlett, but as the book travels on, I could see Scarlett start to get fond of Melanie. She would never admit it, but the way she treats Melanie starts to change. Personally, I loved the character relationships because they were what propelled the story forward. Scarlett is the most vibrant character, but the supporting characters were all very well-written. I'm not sure if they had the intended effect on my though. For example, Rhett reminded me of a little boy. I think he's supposed to represent dark sensuality or something, but personally, he reminds me of a primary school boy. I mean, he treats Scarlett badly.... because he likes her? That sounds quite immature to me. And he gives up way too easily. While this book is really long, it's worth reading. Just keep in mind that this book is written to portray a positive image of the South, so take its message with a healthy spoonful of salt. Note: This book was read for the Tea and Books reading challenge. 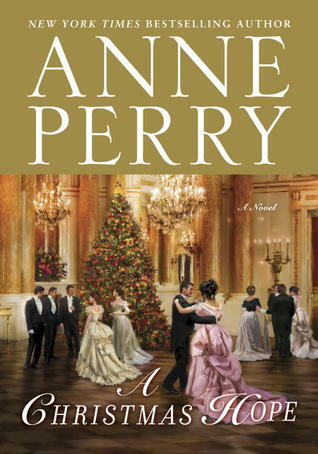 A while back, I reviewed Anne Perry's novel Blind Justice (link leads to review). And so, when I heard that she wrote a Christmas story, I decided to sign up to read it. And of course, it's set in the same world - so, a murder mystery with a Christmas twist. A Christmas Hope follows a minor character in the series, Claudine Burroghs, an upper class lady. At a Christmas party, a prostitute is killed and fingers are pointed at a drunkard poet. The only thing is, she spoke with the poet before that, and she doubts that he's the killer. So she defies society and her husband to search for evidence that he's innocent. To me, more than the mystery part, the societal aspect was more interesting. Here's a high-born lady, supposed to be ornamental and move in the highest circles. Yet she decides to do something unlady-like, and instead of going completely against the current, she does use some societal norms (like visiting others) to achieve her ends. I really enjoyed reading about how she used her status to get information. Because this is a short-story, it finishes pretty fast, and with a happy ending to boot (well, it is a Christmas story after all). If you're looking for a cheery Christmas story but would like a little twist, I'd reccomend this book. It's an enjoyable book that despite being a murder mystery, was rather cheery (at the end, not in the middle). 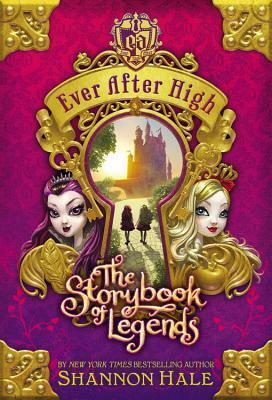 One of the mini-series that I've been watching would be Ever After High. It's a fairytale retelling, but about the kids of the original stories. The two protagonists are Raven Queen, the daughter of the Evil Queen and Apple White, the daughter of Snow White. All the characters have to go through Legacy Day, a day where they pledge to follow in the footsteps of their parents. However, Raven Queen doesn't want to be evil. This is the premise of both the mini-series (which I recommend you watch - each episode is about 3 minutes long, so it's really easy to carve some time to watch it). However, while the series is very episodic, the book has more of a plot and actually covers what happens during Legacy Day (the cartoon mini-series hasn't actually gotten there yet). I loved this book! The characters were just like how they were in the cartoon, right where to Maddie (the daughter of the Mad-Hatter), breaks the fourth wall to talk to the narrator. In fact, the book goes into more detail and introduces more background knowledge - for example, more about the Evil Queen. Of course, the book being a book and not a three minute episode has more space to develop the characters. Plus, Shannon Hale is an awesome writer, so she really brought the characters to life. If you're a fan of this series, you should read the book. 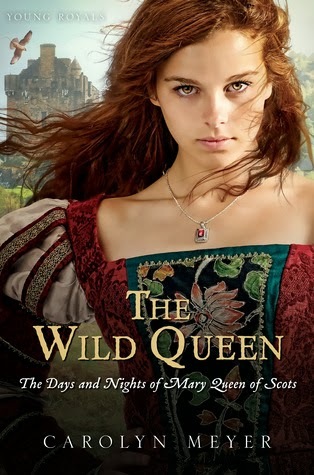 If you're a fan of fairy-tale retellings in general, well, I'll still recommend this book to you. Note: This book was read as part of the fairy-tales retold reading challenge. My friend Stephanie recommended this book to me and it's a really awesome book! I wish it were non-fiction, but it is not to be. 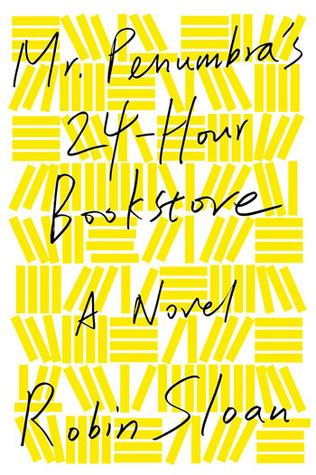 As the title implies, this novel is about a bookstore. But, as the title does not imply, this story is also about a secret society involving the deciphering of a fairly old set of books. In fact, it kind of deviates from the bookstore halfway through and starts to go after the mystery side. 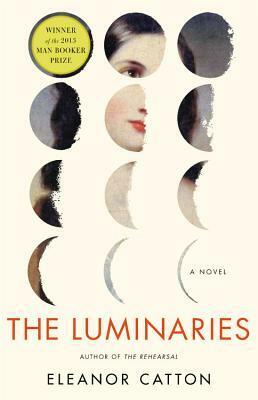 In fact, at its very core, this novel is looking at technology and books and how they interact with one another. Technology, and even Google, is featured very prominently in the book. And no, it's not about the kindle or any other ebook reader (although they are mentioned). Come to think of it, this novel has fairly little to do with a bookstore. It starts with a bookstore, detours into a mystery, solves the mystery (and the protagonist gets the girl, maybe) and then ends with the bookstore again. Oh, and I forgot to talk about the characters! There is the titular Mr Penumbra, who sounds like a really cool bookshop owner - I'd love to visit his bookstore! And then there is the protagonist, Clay. Clay was a web designer that got laid off and ended up working at Mr Penumbra's 24 hour bookstore as the night clerk. His love interest is Kat, a Googler who meets Clay when she's targeted by Google's incredibly specific ads. And then there are Clay's roommates, his best friend Neel and a few other characters that make this book lively and populated. An interesting setting, a mystery and a whole host of characters. This is my kind of book, and I'm really glad that I was recommended it. Hey everyone! I'm here today with a blog tour! 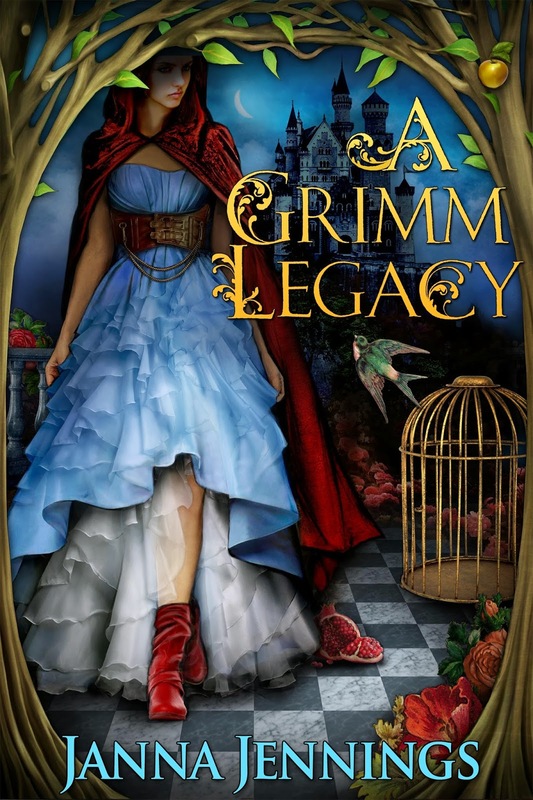 A while back, I reviewed A Grimm Legacy and loved it! 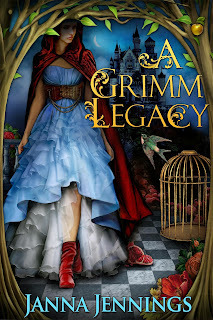 So today, I'm happy to bring you a guest post from the lady that brought us A Grimm Legacy - Janna Jennings! Characters are hard. Creating not only one, but a bookful of someones who are not clichés, interesting, different, likeable—but not too perfect, with the depth and intricacies of Shakespeare’s Hamlet with a believable, driving force behind each word and gesture. Why would anyone ever want to do something like that? That being said, these people—who began half formed in the recesses of my brain—grew as my plot did, getting thicker, broader, increasingly complicated and problematic. My favorite person to write dialog for was Dylan. Not being the most eloquent person, I often have trouble getting my point across when speaking to someone. One more reason to write. Instead, I’m that person who thinks of the perfect comeback two hours later. The beauty of the written word is having all the time in the world to shoot off that pithy reply. Dylan obviously has a quicker tongue than I ever will. Andi was great to write inner dialog for, her thoughts almost a knee jerk reaction to situations. Her decisions were usually decisive and swift, sometimes to her detriment. But she was usually willing reexamine the situation when proved wrong, if slightly grudgingly. The really interesting thing will be placing these fully formed people back in Elorium to see how they react to being dropped into unusual situations. Now I take on the role of scientist, my characters the rat hunting the maze for cheese. I almost feel sorry for them. Almost. About the book: Enchanted castles and charming princes thought to exist only in stories come to life in this classically twisted fairy tale that combines the timeless quality of generations old folktales with the challenges of the modern world. About Janna: Janna is a Colorado based YA author who loves a good fairy tale. She’s married to her own real life Prince Charming, and will usually admit to being mom of three, including her incorrigible middle child. This morning (December 5th), a truly great man passed away. Nelson Mandela, born 18 July 1918, was an anti-apartheid activist and really, do I need to tell you who he was? I think the man and his deeds are well-known. What I want to share is that to one of my best friends, from South Africa, Nelson Mandela is the reason why she can even come to Japan to study. For that alone, I would have been eternally grateful. Although I started out reading the True Colours series, I'm slowly branching out into the various books that Melody Carlson has written. So far, this is the darkest, and perhaps one of her best. 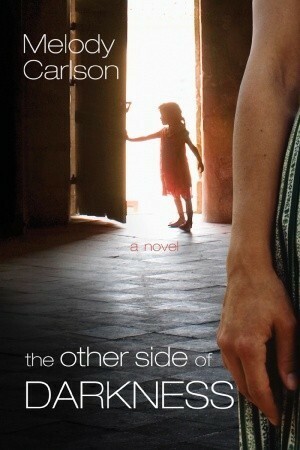 The Other Side of Darkness follows Ruth, a mom who tries to be a prayer warrior for her family. Now, that isn't a bad thing - it is, in fact, really good, but the problem is that she's being manipulated into a small, rather close-minded sect. As the reader, it was pretty obvious that the Pastor and his groupies were unChristian and bad news, but to Ruth, who was treated badly by her mother (no physical abuse, but her sister and brother were clearly favoured), this acceptance from them is addictive. She's tricked into giving her money (money that her family doesn't have), her time, and as it goes on, her whole life - she's really consumed by it. Ruth is someone who's also suffering from OCD, which adds a layer of complexity to the story. And as she spirals downwards, you can see how her her family is getting hurt by her actions. For me this book was sobering. I'm lucky to have been in some wonderful Churches, but clearly, there are many Churches that are just using Christianity as a front for their own gain. And the ones who are most vulnerable are the ones that need Christ the most. This is not a sunny, happy book. It's a dark book that shows us that Churches are not always the safe habors that we imagine them to be. They can be used for evil, and I think we should be on our guard against them. I think most people would have experienced the pressure of living up to our parents. Particularly if our parents were very successful people. But what if your mother was the most beautiful woman in the world, and you, her not-so-beautiful daughter? 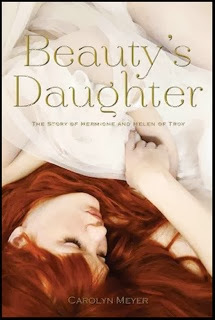 Beauty's Daughter is about Helen of Troy's daughter - Hermione. For some reason, I had three phases with this book - the "This is so cool! I have to read this", then a very very short "Wait, it's not ended yet", and then back to the original "what an awesome book!" You see, the book goes through the growing up of Hermione. I thought that it revolved around the battle for Helen of Troy, but that was actually just the first part. The next two thirds of the book would be Hermione struggling to be reunited with her true love. 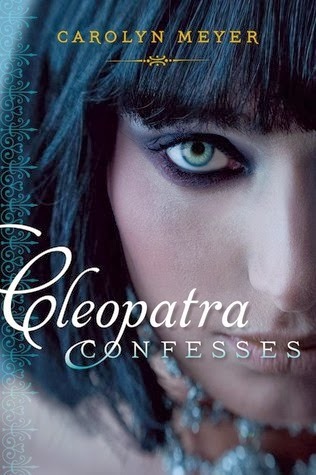 But now that I think about it, why should I expect the story to end when Helen of Troy's story ends? 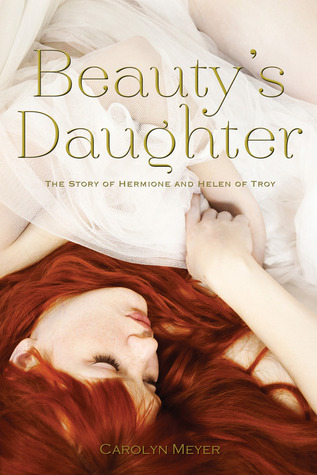 That makes the book about Helen of Troy, not Hermione. And to be honest, because the book continued, Hermione was given the space to mature at a believable pace. The nature of the book is more biographical than narrative. While there is a story, it's largely centered on Hermione's life. I suppose you'd call this a bildunsroman. But whatever it is, it's a really good read and I'm very glad to have been able to reviewed it. And if you do want to read it, don't fret! There's a giveaway at the bottom of the post, so enter to try and win! In Cleopatra Confesses, award winning author Carolyn Meyer writes the story of the teenage girl who would become Egypt's most unforgettable queen, from her early years to her her ultimate destiny. I've heard it said that this is a very literary novel. I suppose this is true, but today, I don't really want to do an analysis of the book - I'd rather look at how readable the book is. There are good books that are very hard to read, and books that are pure fluff. 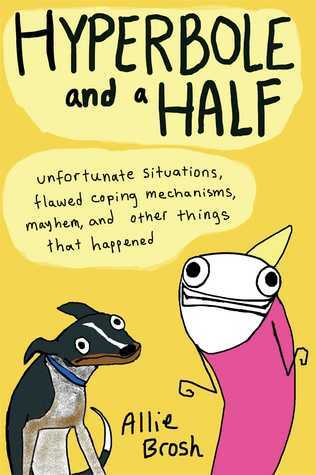 This book falls somewhere in-between. At its most basic level, this book is a murder mystery. There is a suspicious death, and a suspicious disappearance (possibly murder). At the same time, a famous town prostitute is going through some very strange things. 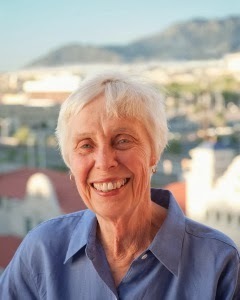 What the book does is to connect these events through 13 men who tell the story in parts. Now, how readable is this book? Let's look at the narration. The book doesn't follow a normal linear chronology. It starts somewhere in the middle, then it goes back into the past, and then back into the present, and then continues on to the future. It may sound confusing, but I managed to follow along without too much problem. The next probable problem would be the number of characters. There are the 13 main characters and at least five other characters. But, again, I didn't have too much problem keeping track. I think the reason is because most of the characters are very distinctive. For me, the only thing I didn't quite like was the speed of narration. It starts of fairly slow, which I was fine with, but as the chapter lengths got shorter, the pace of the book picked up, and finally, at the end, it felt a little too fast for me. But since the book is intentionally written in such a way that each section is half the length of the previous one, I suppose this is unavoidable. While I didn't quite understand the connection to astrology/the stars, I thought this was an interesting read. There are a whole host of characters, which add intricacy and subplots, while the main mystery was interesting - that made the length of the book race by. It took me a long time before I heard of TED, and then some more time before I listened to one, but lately, I've been hooked on TED talks. No matter if you agree with them or not, if you listen to a TED talk, you have something to think about. So when I saw this book, I figured that I had to give it a show. And very conveniently, I had to give a two-minute speech around the time I was finishing it. The speech was, well, I didn't get to use my slides and my English was a bit too difficult, but apparently it was better than the first speech I gave. This book is divided into 23 chapters, subdivided into a total of 113 tips. The tips span four parts - Content (how do you choose what to say? ), Delivery (How do you say it? ), Design (What else do you need?) and The Journey To The Stage And Beyond (this part is really really TED specific. The first three parts will be useful to anyone who has to give a speech, while the last part is for fans of TED or people who want to be able to speak at a TED conference one day. 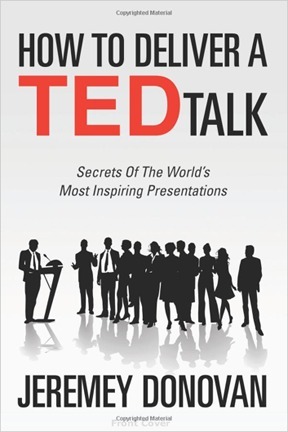 Along the way, the book uses many many TED talks as examples. Apart from effectively illustrating the points, the examples also gave me a lot of videos to put on my "to-watch" list, so I suppose it's a double-benefit for me. Personally, I really liked this book. It's written in a very readable manner - no dry "how to give a speech stuff", and I found most of the tips to be practical. I'm pretty sure that I'll have to give more speeches in the future (both in English and Japanese), so I'm looking forward to using more of the stuff this book has taught me.